Below, we explain how to simplify order management in Magento 2 with the help of the Fooman Order Manager Magento 2 extension. In the following post, we explore only the 2.X tool. 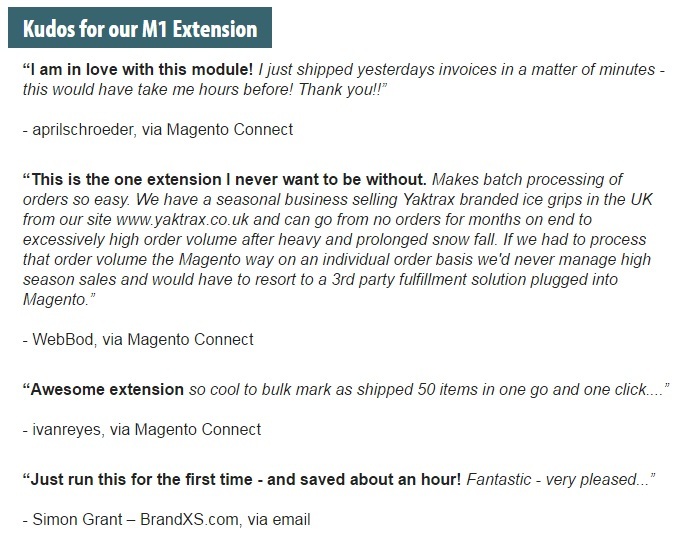 If you are still using Magento 1, there is an appropriate 1.X module. After installing the module, you will enhance the order grid with a bunch of new features. First of all, it is mass order processing. Of course, this feature is possible by default, but Fooman Order Manager for Magento 2 adds some new actions, so you can perform more tasks in bulk in just a few clicks. As a result, managing large order volumes becomes a piece of cake. Next, you get some vital details right on the order overview screen. Thus, shipping address and information can be displayed in the grid for easy reference. 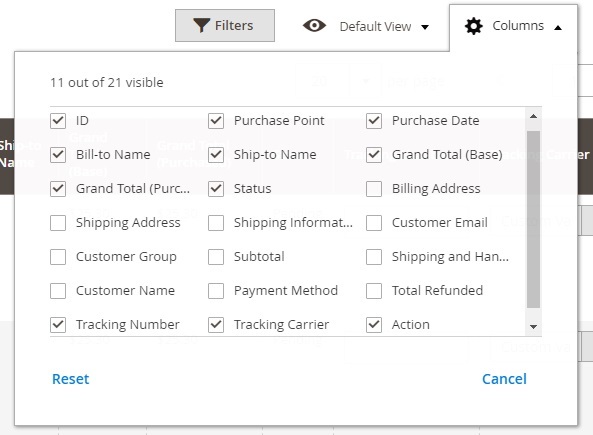 Furthermore, the Fooman Order Manager Magento 2 allows you to add multiple tracking numbers and carriers right on the order overview screen. You can add all columns to the grid, but its structure will become inconvenient. Therefore, display only that data that is currently necessary for your ecommerce business. Note that all the mentioned actions help to save lots of time, especially if you have more than 10 orders each day. Now we would like to describe the last core feature of the Fooman Order Manager – the ability to edit information right in the grid. For the available grid configuration, you can add tracking numbers and choose carriers, which is also a great time-saver. Other features are quite common: you can search orders by keywords, apply filters, save custom grid views, and export grid data via CSV or Excel XML. Now, we would like to draw your attention to the Fooman Order Manager settings which are divided into five blocks: Order Manager Settings, Invoice Settings, Ship Settings, Invoice + Ship Settings, and Update Status Settings. In Order Manager Settings, you choose a preselected carrier and specify a name of a custom carrier. In Invoice Settings and Ship Settings, you decide whether to send emails after invoicing orders, which status should be assigned to an order after the invoice is created or an order is shipped, and if a PDF invoice or PDF packing slip should be generated. 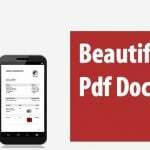 As for Invoice + Ship Settings, this section allows you to enable or disable sending both invoice and shipment emails, select a new staus for an order, and decide whether to create a PDF invoice and PDF packing slip. In the last tab here, Update Status Settings, you can select a new status an order will get after “Update Order Status” action and whether to sent status update emails to customers. All Fooman extensions have the same set of benefits: they are easy to use, provide only necessary features, and have very low prices. Since Fooman Order Manager Magento 2 module costs just $99, it complies with the mentioned standards. You get the most useful improvements within an easy-to-use interface at a nice price. No third-party specialists are necessary to configure the module.